BOONE COUNTY, Mo. — A driver from Shelbyville was hurt in a single-vehicle accident late Monday night in Boone County. 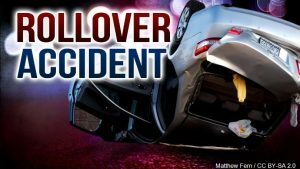 According to a report from the Missouri State Highway Patrol, the accident occurred in the southbound lanes of 63 Highway just south of Friendship Church Road at about 10:20 p.m. Monday. A vehicle operated by Steven E. Bue, 63, traveled off the right side of 63 and struck a guardrail before overturning into the ditch. Bue, who was not wearing a seat belt, sustained moderate injuries in the crash. He was taken to University Hospital in Columbia to receive care.